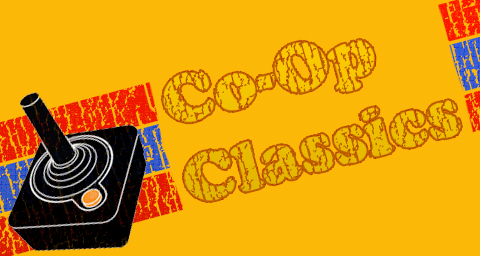 For the past few Co-Op Classics columns, I've been trying to hit some of the key co-op games of the past. Double Dragon and the first Teenage Mutant Ninja Turtles arcade game are on most people's list of classics. Today, we move on to what many consider to be the most influential game ever. This game spawned hundreds of clones, and almost singlehandedly birthed an entire game genre, the first person shooter. A technical marvel, a violent, intense atmosphere, awesome level design and downright scary foes, all wrapped up in a co-op package, make DOOM one of the greatest co-op games of all time. When discussing a game as iconic as DOOM, it's difficult to know where to start. It was not the earliest first person shooter, but it was certainly the most popular early FPS. For years, similar games were known simply as DOOM clones. The graphics were impressive for the time, particularly the lighting. The variety in weapons and powerups was staggering. But without a doubt, the most meaningful innovation of DOOM was the network play. In 1993, most people had never heard of, or even dreamed of, the internet. Services like AOL and Prodigy were the norm. Playing with or against others in a distant location was new and exciting. Now only did DOOM support play over a local IPX network, you could even dial up a friend, and eventually, just play over the internet. This was HUGE, all caps worthy. Couch co-op had been around forever, but to be able to team up with a friend over a distance to mow down demons with a BFG was an amazing experience. Playing DOOM gave us all a glimpse of what, eventually, the internet could be. Would modern networks such as Xbox Live, the Playstation Network, and Steam exist without DOOM? Probably, but certainly DOOM took significant steps that eventually led us to modern online gaming. My own first experience with DOOM came in the form of the shareware version of the game. Akin to the demos that we have today, shareware was quite popular back when a 14.4 modem was smokin' fast. Shareware refers to short trial versions of a game or other software, which would hopefully entice consumers to buy the whole thing. Since it would take days to download games with your modem, shareware was effective, and many titles were available for you to pick up almost anywhere. Those first few levels of DOOM were enough to hook me, and countless others became addicted as well. A friend of mine worked in a computer lab, and these college labs, networked together for file and print sharing, were perfect for DOOM. We'd spend hours there, fragging each other relentlessly, or teaming up for campaign runs. At the first LAN parties I went to, DOOM was a staple. Everyone owned it, and it would run on almost anyone's computer. I know we were still playing DOOM from time to time at these get-togethers for many years after its release. You can't say that about many games these days. Anytime you mention DOOM, all of the controversies immediately spring to mind. The story is quite simple, even sophomoric: you are a marine on Mars, when someone opens up a portal to Hell. All sorts of demons overwhelm the base, and you are the last one left. Throughout the game, you fight your way into Hell itself. Obviously, the demonic imagery and extreme violence raised red flags with many concerned parents, activists, and lawmakers. DOOM was seen as a mass murder simulator, and was linked to many school shootings, particularly Columbine. In my opinion, the game is so over the top and obviously unrealistic that it couldn't have too much of an effect on anyone who wasn't unbalanced to begin with. Video games are not real life, and in DOOM's case, they are not even remotely similar. But that didn't stop DOOM from becoming infamous among those who had never even played it. And who could forget the mods? DOOM was a level editor's dream. The tools for creating new maps and changing the sounds and images in the game were quite robust. Dedicated fans created all sorts of mods and conversions for DOOM. One of my favorites was the Aliens mod, which worked particularly well given the environments in DOOM were similar to those movies. Star Wars and super heroes were among other popular mods. The only limits were the level designer's imagination and the size of your hard drive. DOOM has been ported to a mind boggling number of operating systems and video game consoles. I picked up the Game Boy Advance version of DOOM several years ago, and had a great time with it. Recently, a version was developed and released for the iPhone. On Xbox Live Arcade, a fine 4 player port is available, for the low price of $5. I picked it up on sale and occasionally play through it for old times' sake. It's still fun, and seeing the primitive, almost cartoony graphics coupled with "Kill Bill" style blood spewing everywhere really got me to laughing. DOOM was a great co-op experience. The atmosphere and sense of action and adventure made for some good times with friends. Being able to play through phone lines, or on a local network was one of the most important aspects of DOOM, and video gaming would never be the same. Countless characters like Duke Nukem, Gordon Freeman, and even Master Chief all owe a debt of gratitude to DOOM's nameless soldier. DOOM is easily one of the most important co-op classics of all time, and arguably, the most important, particularly for fans of online co-op. Without DOOM, we all might still be playing Windows Solitaire, and where's the co-op in that?